Spain is facing an increasingly difficult situation in terms of water stress. This is an issue that is due mostly to poor management practices in all sectors. Large amounts of water have been used for agricultural purposes at very low prices for too long; there is an uncontrolled use of most aquifers in rural areas which result from ineffective control by the public administration; per capita consumption continues increasing as well as water used for industrial and energy generation, the construction and tourism sectors and for recreation activities. In fact, they have all exerted additional pressure on available water resources. In order to face the above challenges, water policy has made a gradual shift towards more rational and sustainable management of water resources. This has also been influenced by the European Water Framework Directive about which, as the book discusses, there are both myths and misunderstandings. This book analyses the very complex position of all sectors in the country, the alternatives available and the challenges ahead. In so doing, it makes an important contribution to the literature on water resources management. 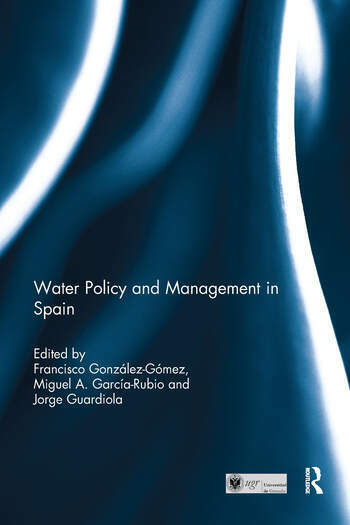 Francisco González-Gómez is Professor in the Department of Applied Economics and Researcher at the Water Research Institute, Granada University, Spain. Miguel A. García-Rubio is Assistant Professor in the Department of Applied Economics and Researcher at the Water Research Institute, Granada University, Spain. Jorge Guardiola is Associate Professor in the Department of Applied Economics and Researcher at the Water Research Institute, Granada University, Spain.